The above photo montage was created by WEA founding Board Member, Bob Shanley. 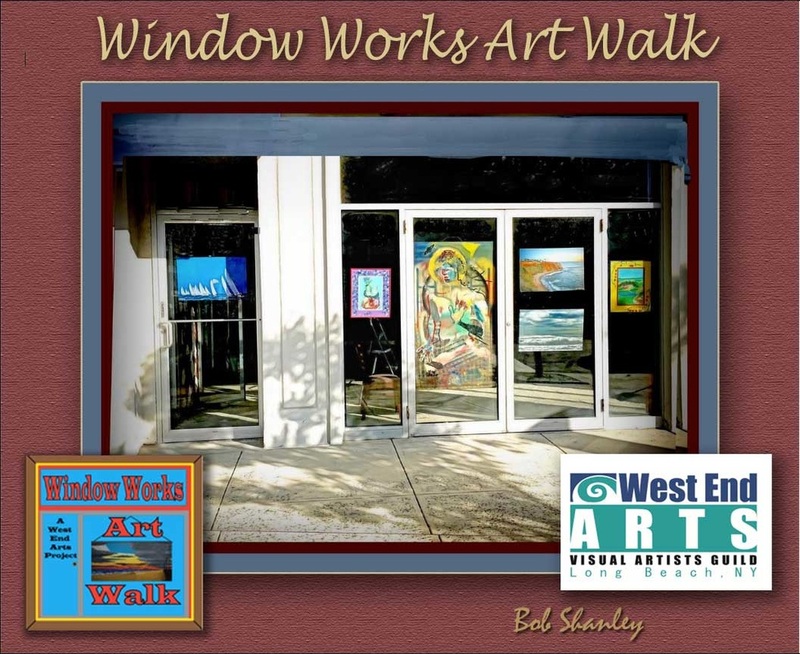 Our current special event is The 'Window Works Art Walk' project. It is a collaboration between artists who are or become West End Arts members and the owners of unoccupied commercial spaces in Long Beach, NY. This promises to become the largest and most exciting exhibiting project for the arts in the history of the Long Beach, NY area. Artwork will be displayed in locations all over town, including both unoccupied commercial spaces and restaurants. Window Works Art Walk Project on Facebook is about the Nov 1 informational monthly meeting devoted to all questions about the project.